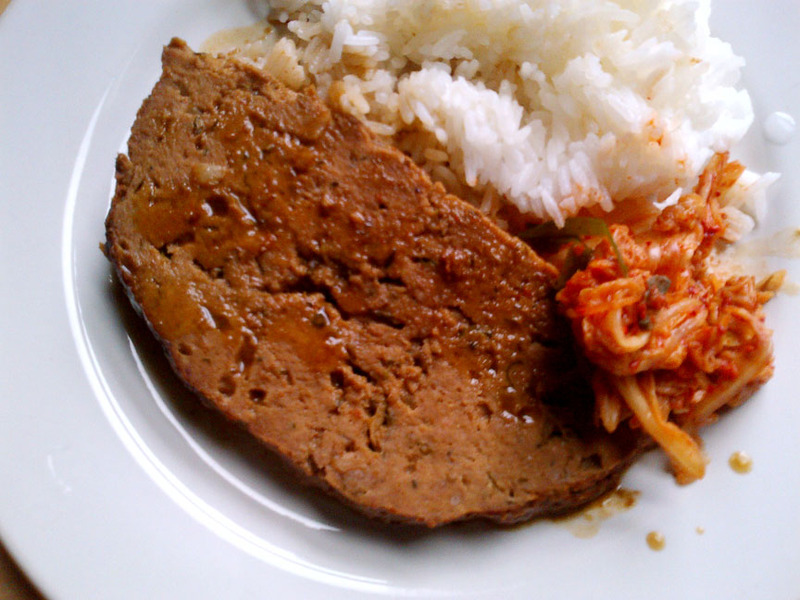 Kimchee braised meatloaf on Jasmine rice for lunch warms up this wet, icky May day in Brooklyn! Don’t throw out that juice! I made a braising liquid with old kimchee, soy sauce, chicken stock, onions, butter and a splash of balsamic vinegar, then reduced the liquid to make a thick sauce. When kimchee passes its prime it’s perfect for braising meats and for making hot soups. When heated all the pungence dissipates leaving a tangy broth that’s rich in glutamates, a natural flavor enhancer. It brought this old meatloaf back to life.